It will take about one hour and a half drive from San Jose to Puntarenas and after crossing the bay you will have to keep driving for an hour to Cobano straight on to Santa Teresa Malpais. From there you will have to turn right and after reaching the beach turn let about 5k north where there is Milarepa. If you prefer traveling by plane, you can take 25 minute flight from the International Airport Juan Santamaría to Tambor. 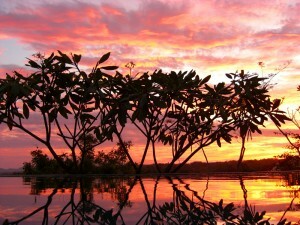 You can ask the hotel to arrange private charters or can book directly with Sansa or Nature Air. From the airport it takes just 45 minutes to reach the hotel. 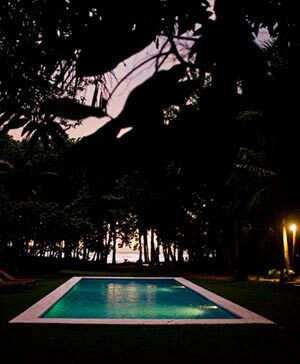 The hotel can also arrange helicopter service from San Jose to Santa Teresa. Milarepa Hotel provides four private bungalow style bedrooms. These rooms are surrounded by beautiful jungle and beach environment. 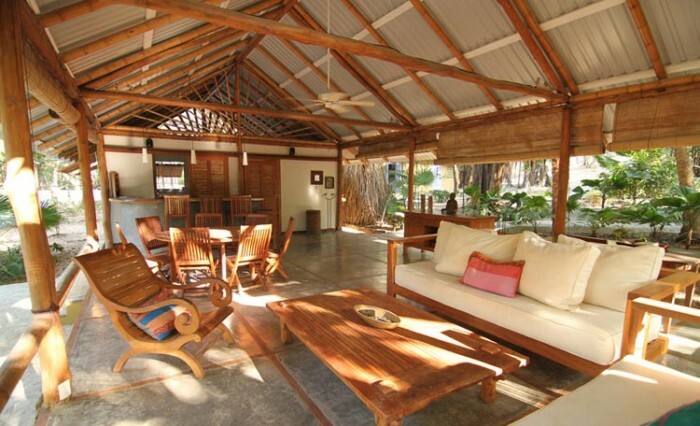 These bungalows are constructed with Indonesian imported bamboo and teak and you will find no two bungalows are alike. Rooms are featured with four-poster beds that is curtained with mosquito nets and cooled by overhead fans. There are also air conditioning fan units. Those beds also have 300 thread count Egyptian cotton linens and luxury pillow top mattress covers. Each of the bedroom is set in well distance and private from its neighbors that allows its guests to enjoy complete privacy. These bungalows have en suite bathroom that is partly open to the sky that will allow you to enjoy showers under the sun or stars. While staying at this hotel you will also enjoy daily maid service, concierge service and night security. The hotel location is perfect for the surfers as it is set just a short walking distance to a number of surf spots. Whether you are a beginner or advanced surfer, you can enjoy surfing by taking help of seasoned and knowledgeable instructors. In Santa Teresa, you will find a variety of beach breaks, point breaks and volcanic rock reefs suitable for the advanced surfers. If you are interested in adventure activities, you can enjoy canopy tour and enjoy a journey through the treetops of a rich tropical forest at the entrance of Cabo Blanco Nature. You can also enjoy an amazing view of the Pacific Ocean and explore the beauty of the forest. Nature lovers will like this tour as it will allow them to enjoy watching the amazing sight of the desolate beaches, and pristine rivers. At the time of riding, they can also get accompanied by the experienced local cowboys. People who love fishing, they can go for fishing in the early morning and also in the afternoon and can catch yellow fin tuna, red snapper, mahi mahi, year round just off the coast of Cabo Blanco. At the time of fishing, you can also watch an underwater volcano, sea turtles, stingrays, and whales. While staying at the Milarepa Hotel, you can join the private yoga classes offered by the hotel. These private yoga classes are especially designed upon the wisdom of ancient Indian Yoga. You can find yourself refreshed, rejuvenated and energetic and find the inner bliss by joining these classes. All the Yoga classes are guided by experienced instructor. In this hotel you can also enjoy massage therapies including soothing, deep relaxation, therapeutic, invigorating, or stress reducing massage. All these massage therapies will make you feel rejuvenated and refreshed.